Truckload shipping is the best way to ship large shipments to your customer. Unlike LTL freight which stops at different hubs en route to its final destination, truckload freight gets transported in a single run. Here are several factors to consider when deciding whether LTL or truckload shipping is best for you. Since truckload freight goes from point A to point B in a single run, it’s more likely to arrive on-time. Freight sent with urgent delivery deadlines and needing to arrive fast benefit from truckload shipping. With no stops between pick-up and delivery, shipments move more efficiently and more predictably. tomer. Every move increases the risk of dings, bumps and possibly worse damage. Truckload cargo gets loaded at your dock and is then unloaded at your customer dock. This reduced movement limits the chances damage will occur. Aside from protecting your freight, it also saves time in terms of filing insurance claims and the necessary follow-up to ensure they get processed in a timely manner. LTL freight must be on a pallet and wrapped. Truckload freight comes in all different shapes and sizes. Heavy haul and flatbed trucking services meet the needs of companies with oversized or larger freight that won’t fit in a trailer. Truckload freight might also have special shipping needs. Refrigerated truck, or “reefer” in industry lingo, helps preserve perishable goods during transit. While there are ways to ship low volumes of perishable goods via LTL trucking, the trucks themselves don’t offer refrigerated services making refrigerated truckload often the better option. Transport of hazardous materials, or hazmat shipping, also requires special attention best suited by full truckload shipping services. You can Google truckload shippers and pull a lot of companies. There are thousands around the U.S. Some offer standard trailer services while others offer specialized services like refrigerated truck or hazmat. The easiest way to find the service you need fast is through a logistics broker. Freight brokers like LTL Freight Center have partnerships with carriers around the country and with a few clicks can pull up dozens of options for you to choose from. 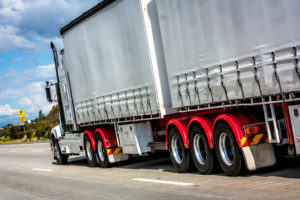 Plus, while many may specialize in LTL freight, they often have relationships with truckload carriers as a way to provide comprehensive freight and supply chain logistics to their customers. The best way to find out if a freight broker is right for you is to give them a call. They can answer your questions. And if you’re trying to determine if truckload is right for you, they can offer an unbiased opinion since their job is to find the best and lowest cost logistics solution for their customers whether it’s LTL or truckload shipping.